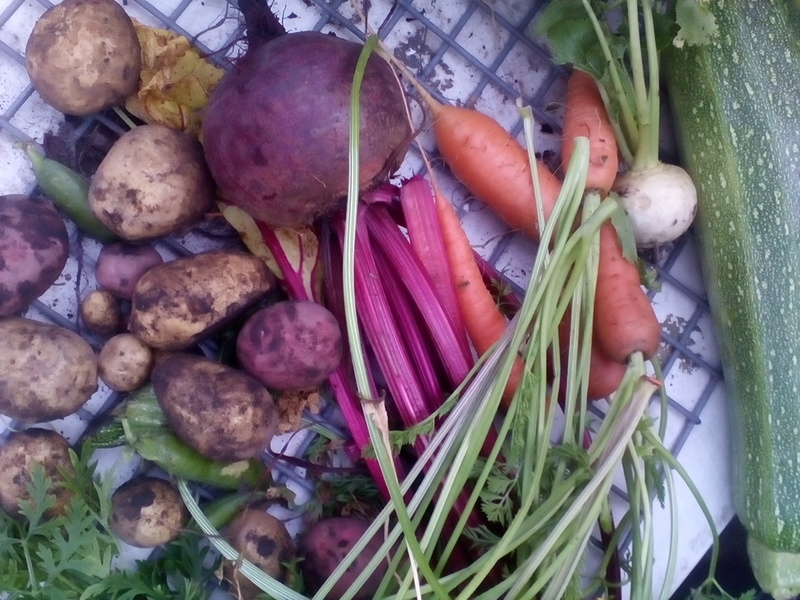 Anyway, so much for a brief history of time, what's been going on in the allotment? 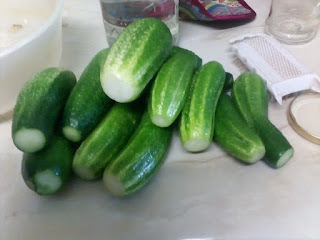 This is the first year we have grown gherkins - and the way things are going we might not have to grow them for a couple of years, there's only so many that you can pickle and eat! This is just one batch! There's just three plants, happy in an unheated lean-to greenhouse. Two methods of preserving have been used, cold pickling - the uncooked gherkins put into spiced vinegar (quick fix as we went away the next day) and the other, more traditional method I think, of boiling the gherkins for 8-10 minutes and then putting in the jars, and pouring spiced vinegar on top, then sealing etc.The latter will last longer than the former. The courgettes have gone a bit mad, we're giving them away! And the carrots, well - see below! Beetroot have been really good this year as well, not bolted at all, though I would imagine that it is time soon to pickle some. In Spring - weeds go in the bottom of the stack, followed by old compost from pots, window boxes and the like, and then fresh compost for the top layer. 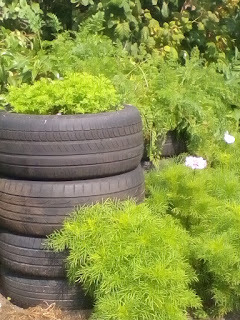 As the carrots are at waist height there is no danger from carrot fly and the tyres keep the carrots warm right into the winter. 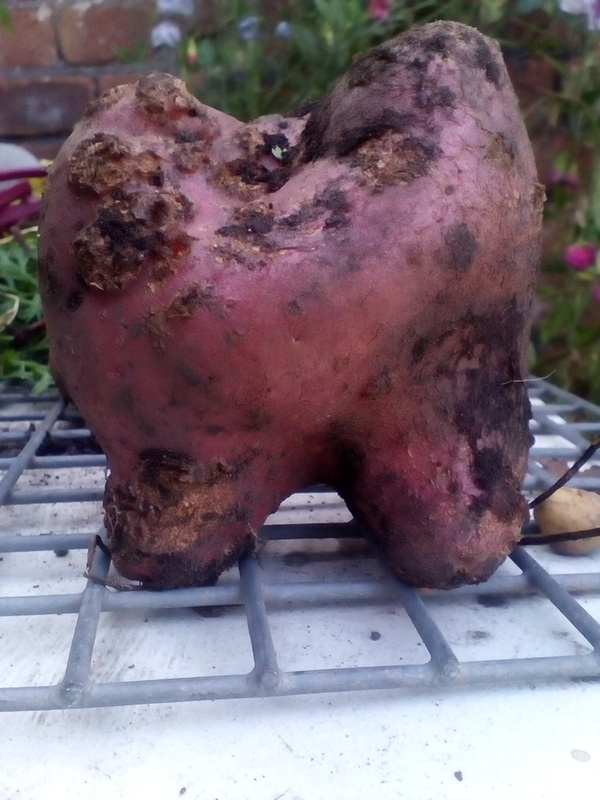 This is what happens when a potato happens to grow round some stones, reminds me of the Wrong Trousers in the Wallace and Gromit film of the same name!